A “Jack” of all….Pumpkinheads? If you mean the ale, yes sir. Normally one feels like this the day after Halloween, not er, say, the week before, which is exactly what happened to a whole field’s full of pumpkins at Connors Farm in Danvers, which my friend Mackenzie and I traveled to (and managed to find after a loss of our directions) on Sunday for our great pumpkin hunt. 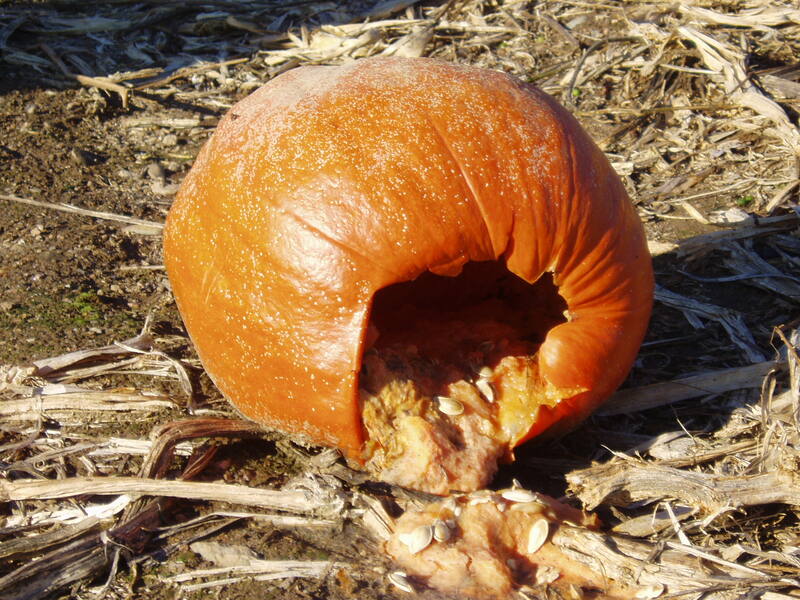 The plan was to “pick our own” pumpkins, but that failed miserably when, probably on account of the lateness in the season plus the odd hybrid of one hot day and one day of frost through the last week, we ended up standing in a field of diabolically rotten and spewing forth their guts goardish-former things. 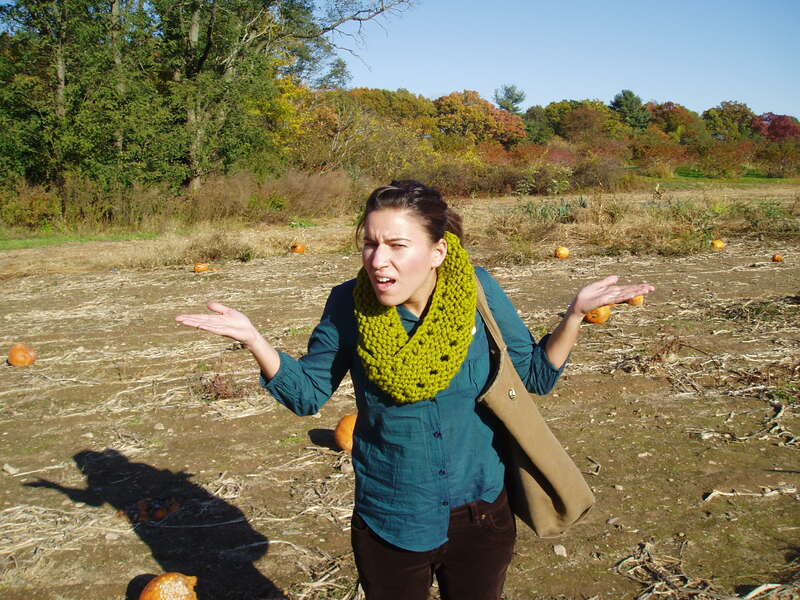 Instead of weeping or vomiting ourselves, we ended up snapping photos of what Mackenzie described as our “What the F**k face?” before we trudged back to the farmstand to pick some off the…….shelves. 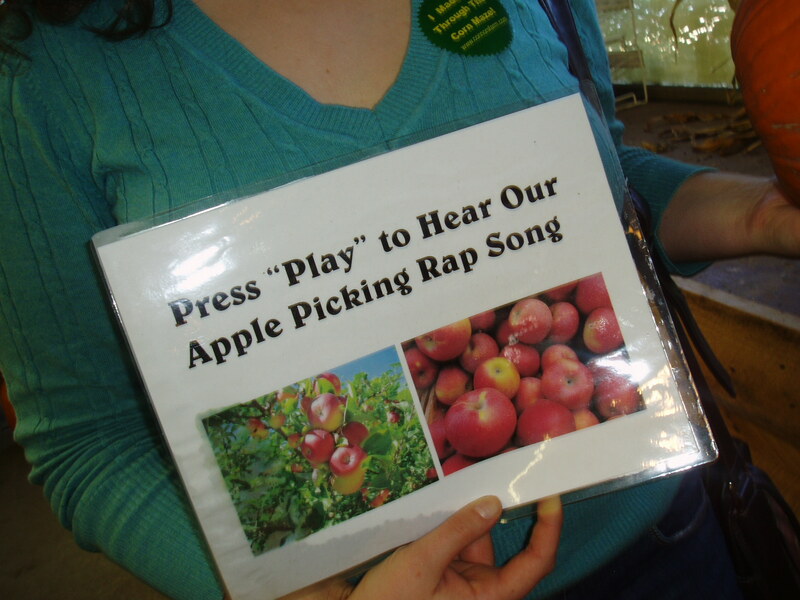 We eventually resigned ourselves to this endeavor because we stumbled upon “The Great Apple Rap”, which I have to say, was pretty brilliant. Some of the Connors Farm bigwigs decided to record up their own “Mackin’ the Tosh”, if you will, and of course, Mackenzie and I stopped to take a listen, naturally. The beat was chompin’, certainly, but we decided to head to the corn maze, since welp, we went all the way there and the day was gorgeous. 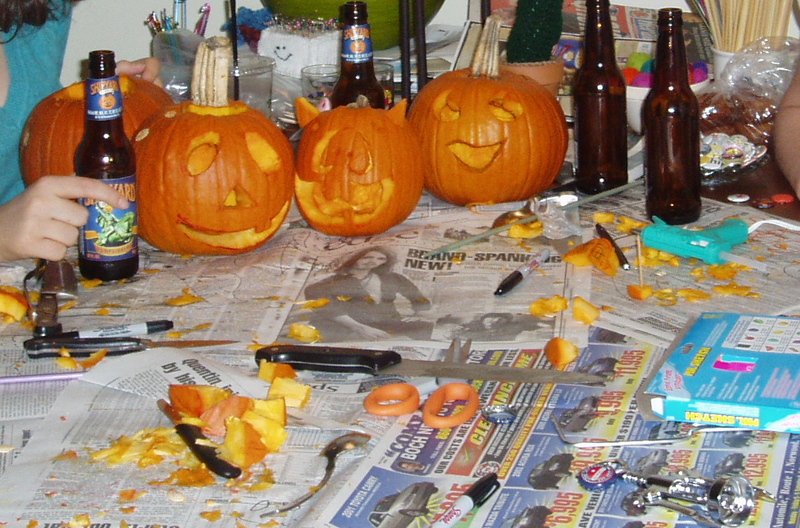 However, halfway toward the veggie trap, Mackenzie turned to me and said “Um, should we just head to a package store and get our pumpkin beer and just hit the drink and carving?” to which I said, “You read my mind…” and off we were for Shipyard’s Pumpkinhead–the greatest pumpkin beer on the planet–and our attempts at mastery with knives (and a reinactment of “Lindsey Lohan Loves Knives”). 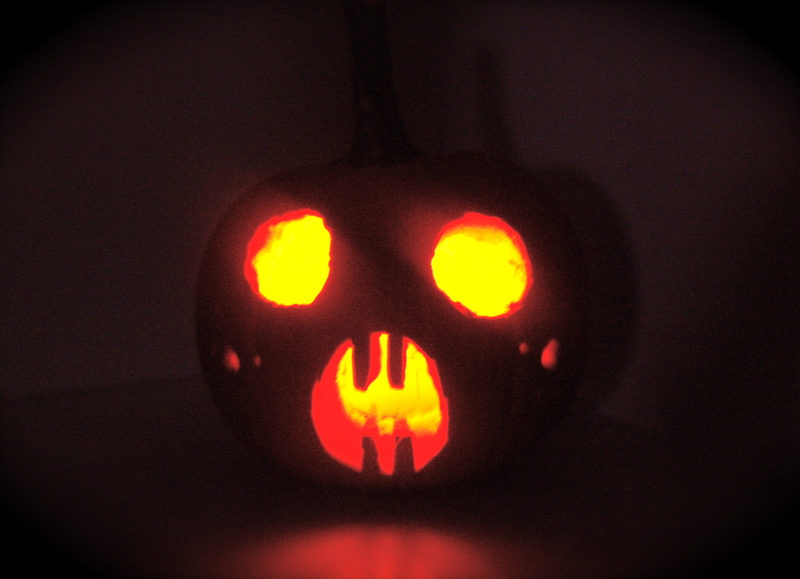 Lauren joined us for the wilding and charmed us with her “drunken hobo jack o’ lantern” creation. I carved up a ghostie and a piggie, which have both been set aglow today. File Under: I may enjoy drinking “Pumpkinheads” than making “Pumpkinheads”. Call me a non-Jack-of-all…lanterns? 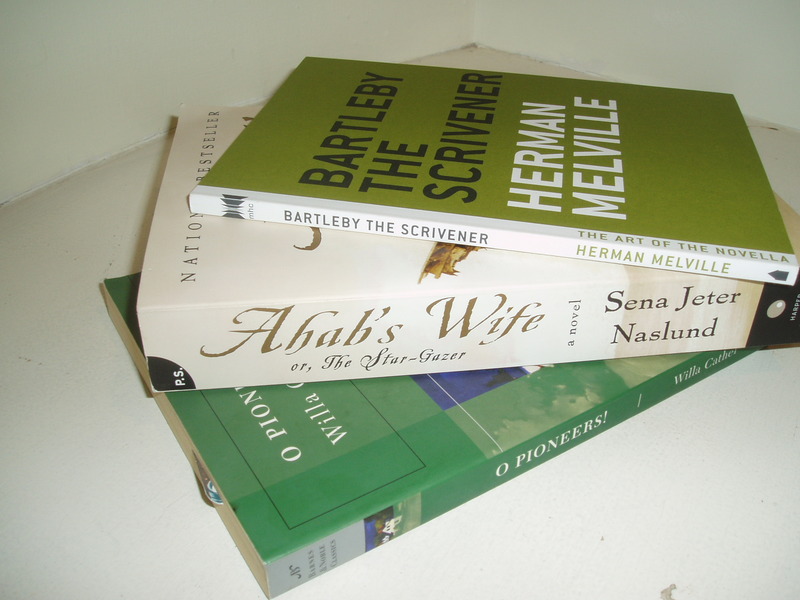 Neither earth nor ocean produces a creature as savage and monstrous as woman…a witch perchaps? 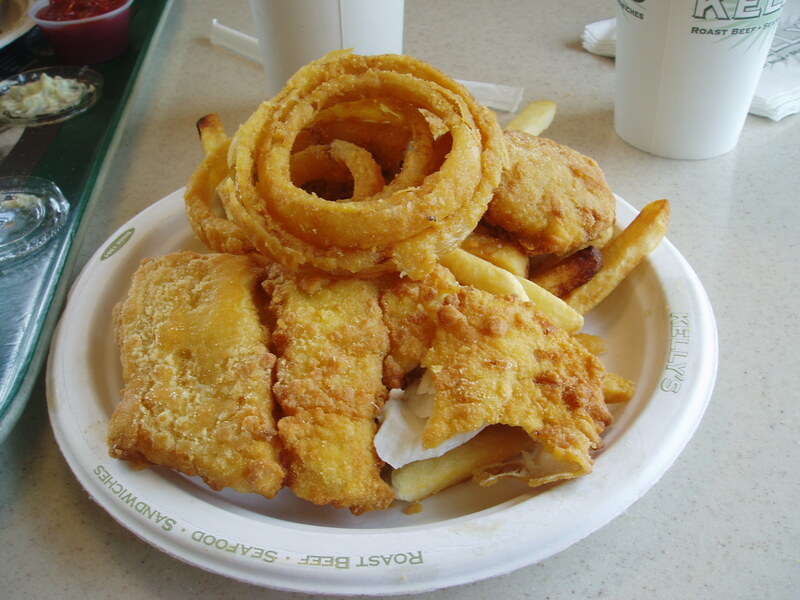 Yesterday, my friend Sarah and I decided, “Welp, let’s keep this feeling of the sea alive once more.” We embarked on a trip out the city, back to the great wide open, with of course, a trip to Kelly’s inbetwixt, for fish and chips (oh, and their yummy o-rings, too). It was over a delicious plate of the above that I told her all about my friend Esteban Miguel, and his horrid habit of “clamming up around girls”. 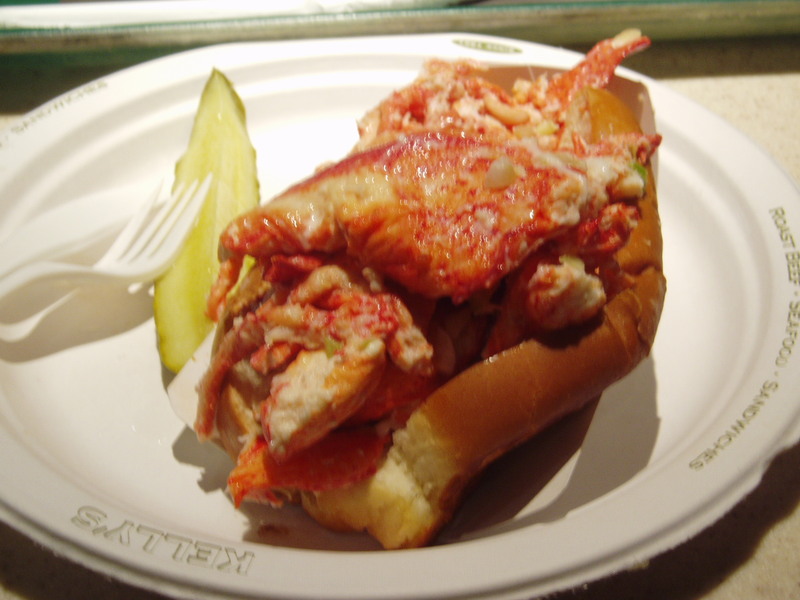 I won’t rehash it all here, but just to note: if you take a girl to a seafood restaurant, let her order the clam roll! Please. It will go swimmingly for you, if you do. Trust. After, for some strange reason so close to Hallow’s Eve, we decided to make our way to Salem (where Sarah used to work at one of the historical homes turned musuem, which was in fact a Judge from the Witch Trials’ actual home, but often involved visitors asking questions of Sarah like “so, uh, did they burn the witches in the fireplace?” Enough said.) through serious tourist traps and traffic to wax poetic on our love of New England, old homes, and men who wear unassuming footwear. Sarah let me wander into a beautious knitting shop, but I held back and did not buy a thing (mainly because I have enough yarn in my shelves to make enough sweaters to keep the whole of Russia warm this winter), and away we went to people watch. 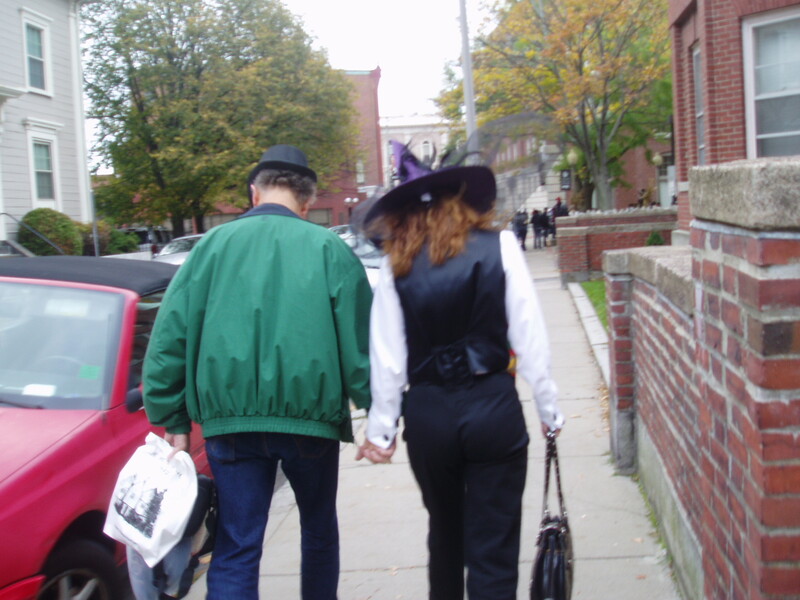 If you’ve never been to Salem, people watching during Halloween time is the main reason to go, and I will say that’s why we ended up there in the first place. I snapped these two “Witchy Wearers” in a romantic moment, and while they weren’t nearly as odd as a majority of the wanderers, I’m pretty pleased at how special it seems when you look at it the next day. Alas, I changed my mind and instead we stumbled upon a full carnival happening in the parking lot of a gas station. Kid not. 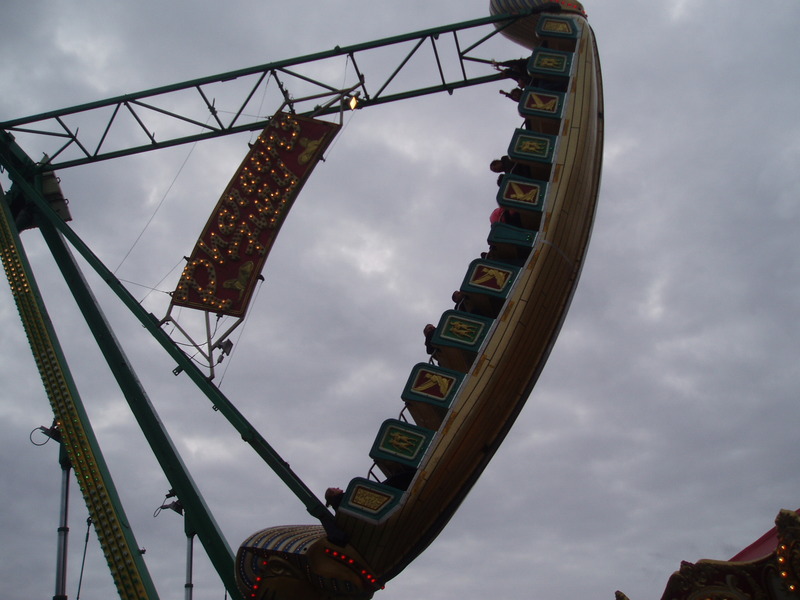 And many a kid embraced their inner “I may want to die, or get my feet cut off at least” and jumped on a few of the rides, which included a Pirate Ship that is not a pirate ship, but a “Pharaoh’s Fury” with a honkin’ grinning Pharaoh on the masthead. Really? Wouldn’t a Pirate Ship be more fitting in a seaside community? Of course, the day ended with a plate of fried dough and a trip back to the city, in which I decided to ride the train downtown and start working on a new “Mock Brioche” Cowl since I was a bit chilly from the day’s gray skies, witchy witches, and of course that ever-present harbor wind. I’ll post pictures of the new cowl, being knitted up in a “Wheat” color, which is really just an off white with flecks of brown and green and orange in it, when I get a bit more done. Cowling under the pressure of cold? Perhaps! 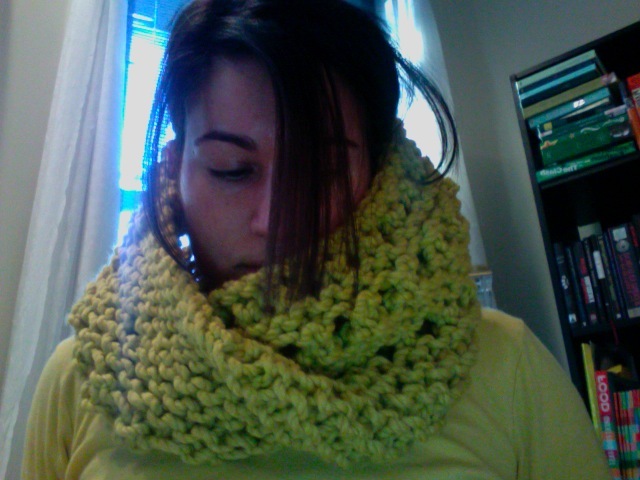 As I mentioned last week, I’ve gone on a serious cowl knitting bender. 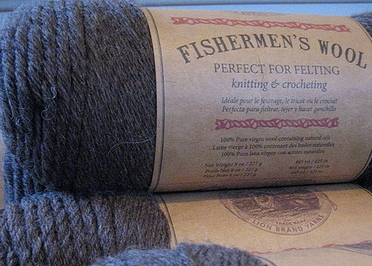 It’s turned into an addiction and a new area in which I can flex my knitwear design muscle. But, in order to kick it off, I went back to the Life is Uneven Cowl and knitted another up in “Lemongrass” this time, which really pops against purple or some other delicious contrasting color. 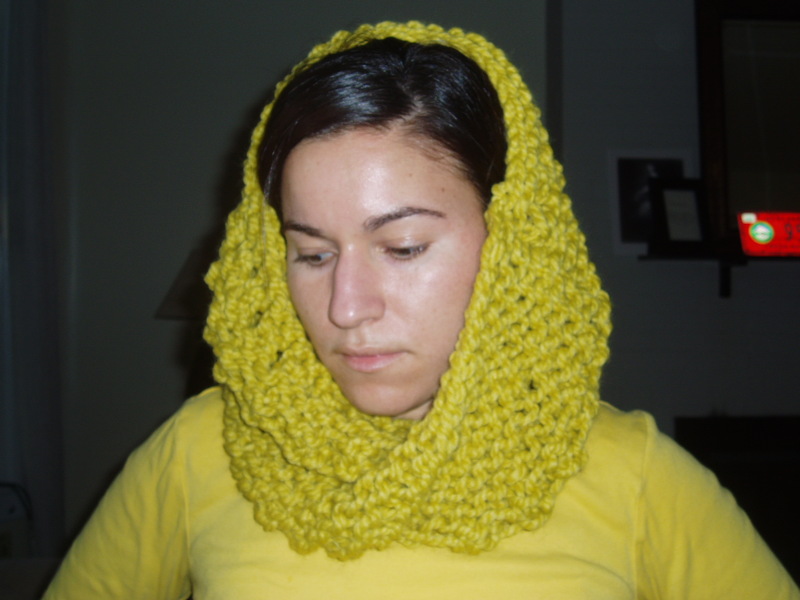 I intend to gift everyone I know who wears cowls one of these babies because they are more like fancy neckwear than knitwear or scarf-wear. I’m not sure if I’ll keep “Lemongrass” for myself or give it off…but I’m certainly going to have one of these; but most likely the “Citron” one will stay in my possession. 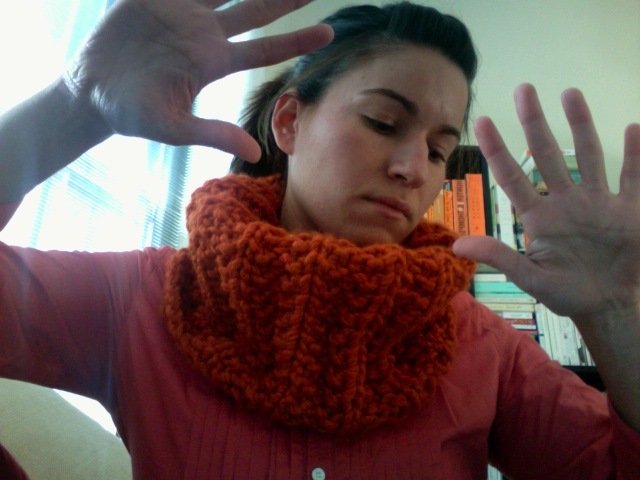 After such satisfaction with the aforementioned knitted piece, I decided to try my hand at my own design. And boom! 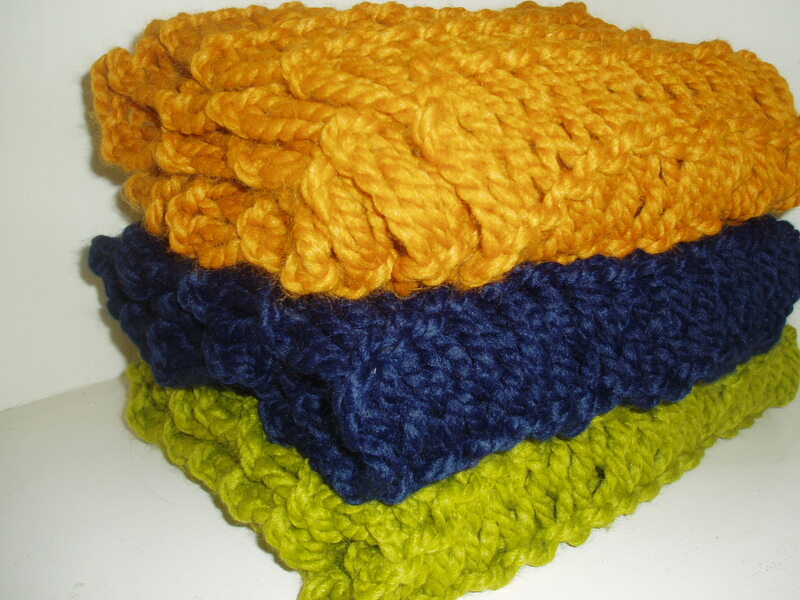 Out came the “Deliciously Thick Not So Balaclava Warmer”, which is absolutely amazing if I do say so myself! Still knitting with nothing but Fisherman’s Fool and that amazing temptress the Thick n’ Quick, I also knitted this up using Size 17 Needles and an ever-so-thrilling “Mock Brioche Rib” (in a vibrant “Pumpkin” color), which was settled for after my “Brioche Rib” was causing me not only to rip my hair out, but the yarn over and over again, which if anyone knows, ends up making great big fuzzy ball of the skein, and that’s not pleasant for end results. 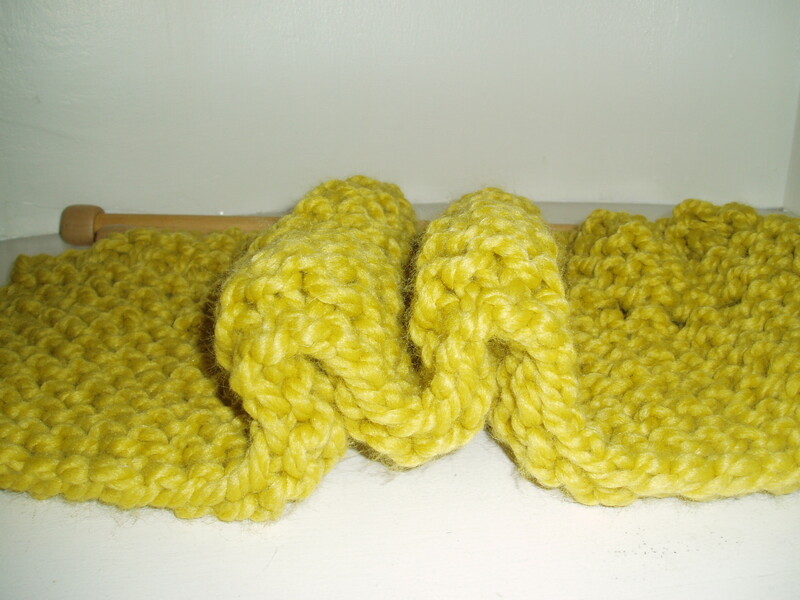 The “Mock Brioche Rib” is so easy and looks nearly cabled, without all the hastle. Plus, while tedious, I took to making sure the stitches were super tight so no air would come through–this is no decoration piece, my kittens, this is pure warmth. I wore it to work today, and I have to say, success! My neck was not a moment cold, and if I wanted to hide my face from my computer, welp, hide away I did. 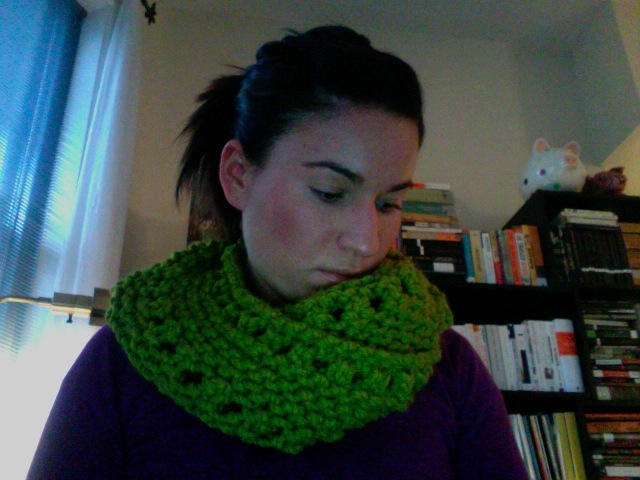 File Under: Expect to cowl in pain in that Boston wind if you don’ get me to knit you up one of these. Unfortunately, I’ve been so on the go lately I haven’t really cooked a thing in more than a week. That is, until today, with its rainy, gray, windy chill, I decided to hunker down with knitting, my blogs, and of course, some random items I had in the fridge. 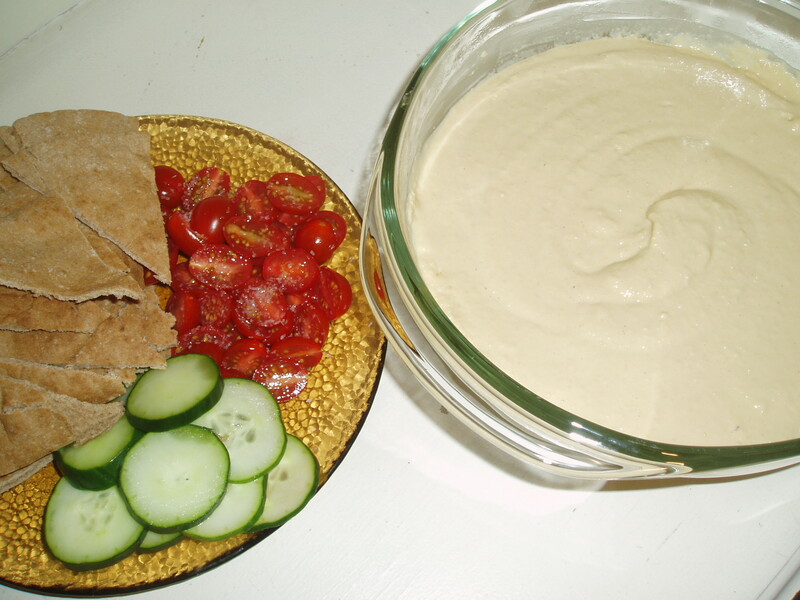 And out came a homemade hummus, which is delicious when you soak your own chick peas and make up the yummy spread while the peas are still hot…never thought of hummus hot? Welp, its amazing. I usually soak the chick peas overnight per the directions on the bag, but today I did the stovetop quick soak-cook method, which works if you don’t think ahead or don’t have the time. As soon as they were tender, I added them to my cuisinart along with several heaping spoonfuls of tahini. I happen to love my hummus filled with lemony goodness, but a lot of people don’t. You can omit the lemon juice if you want, but in mine, I added the juice of three (yes! three!) lemons. Pulse the entire mix until its completely smooth, about 3-4 minutes. 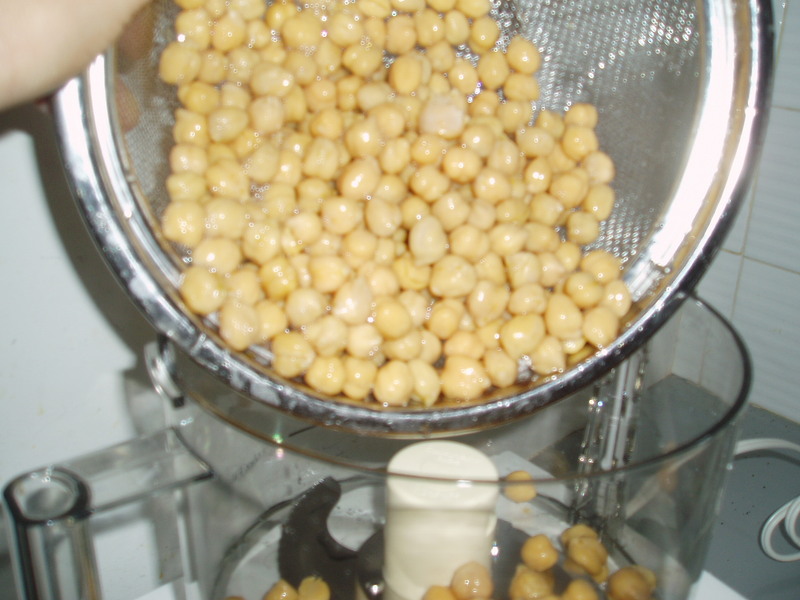 If you don’t have a cuisinart, I’m sure a blender would do the trick, though you’ll have to add the chick peas, tahini and lemon juice (or garlic or parsley or whatever add-ins you want to snazz it up) in small batches, so that it all gets blended together and doesn’t clog your appliance. 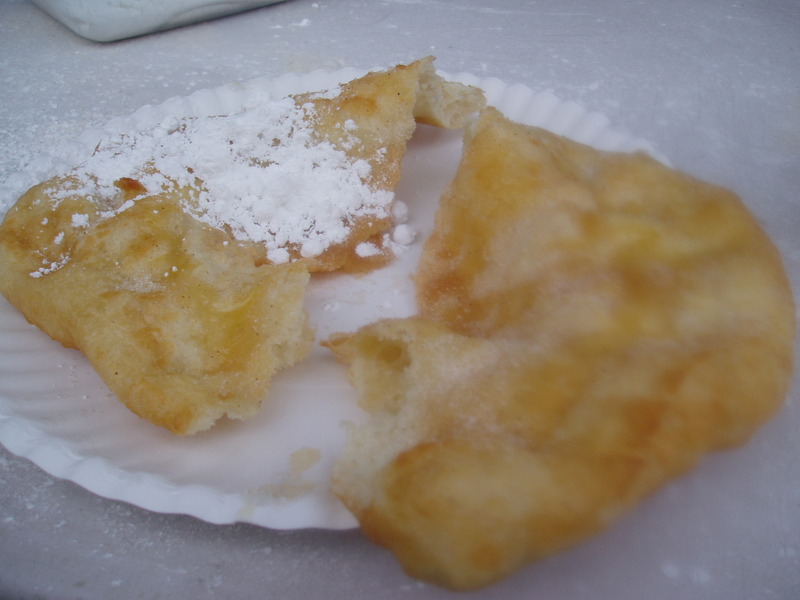 After, serve up with little pita wedges. I also like salted tomatos and cucumbers to eat with it. I’ve decided and will declare in this space that I want to live in Winthrop. 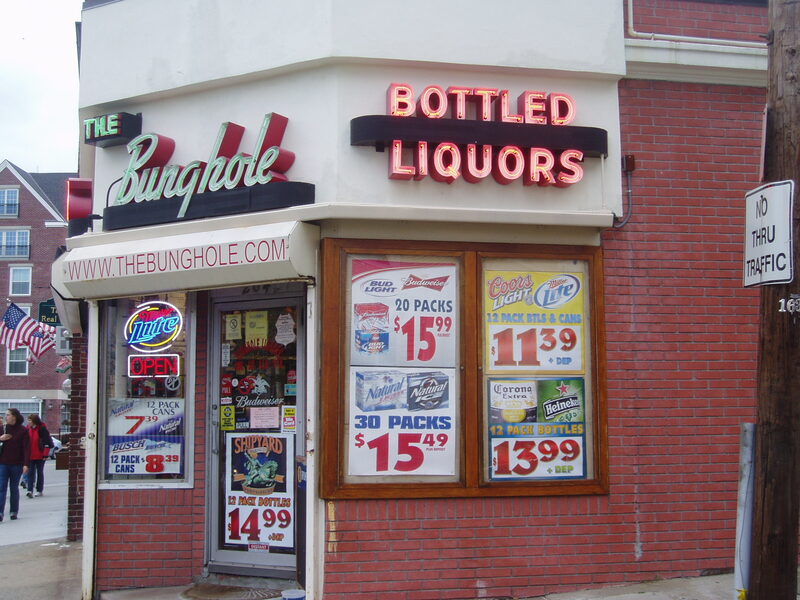 What is Winthrop for my non-Native Bostonians? 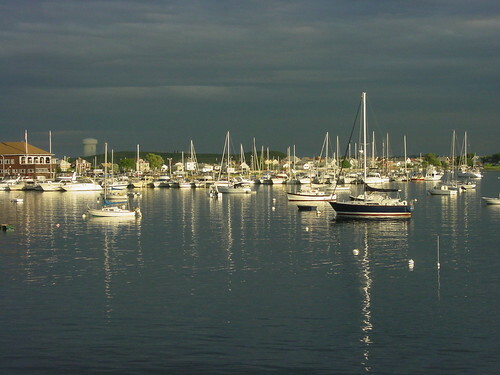 It’s this adorable, albeit sincerely quaint and beautiful seaside community on the North Shore of Boston, where one of my best friends Steve (who reviews music over at my first love, my music blog Pulp and Circumstance, Juiced!) happens to live. I absolutely find the sea to be one of the most romantic places on the planet. It makes you feel absolutely small, and insignificant (not to sound cliche or warped), but at the same time, it’s so freeing. 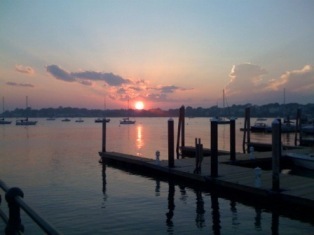 I could never imagine not living near some large body of water–or by a harbor. It’s the only place, now, I want to reside. 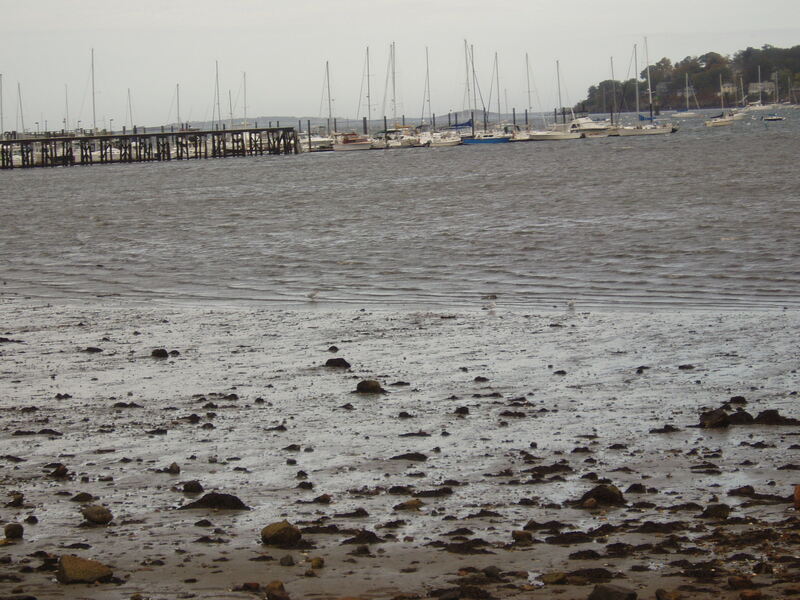 To sit and smell the salts, to knit on a gray day, all those delicious things. And so, to help me with my love affair of the ocean (for Steve also feels as I do), we started out the evening set to gobble up some seafood at favorite Saugus hot-spot Kelly’s Roast Beef, and insitution around these parts (and a running joke about Steve “clamming up” around girls). After gobbling up my delicious lobster roll, Steve decided we must take to the brisk mid-October air and walk the seawall, and Deer Island (which was eventually connected to Winthrop and what came out of it was this donut walk around Winthrop Beach and back around the Boston Harbor, circumventing the monstrosity of a water-treatment plant, smack dab in the middle of the island). 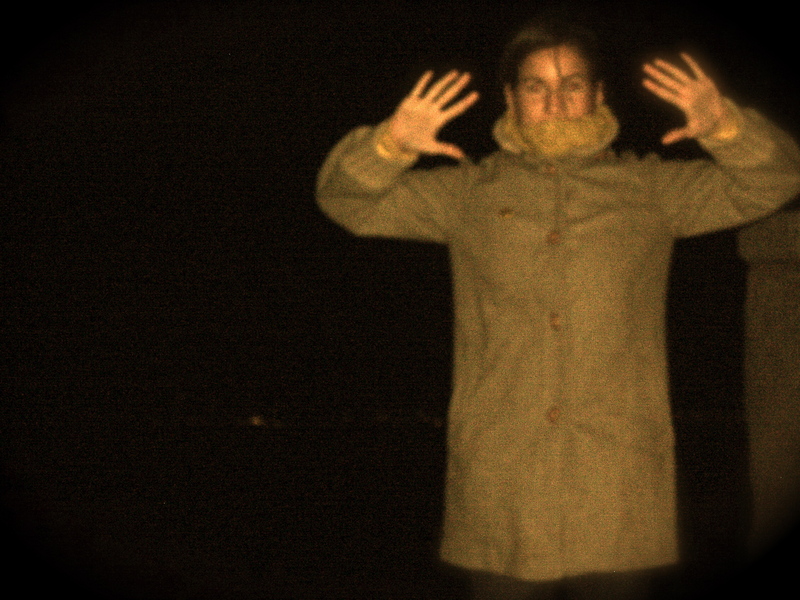 It’s the most amazing walk–dark and lonely but peaceful, especially at 11 p.m. on a Friday night. 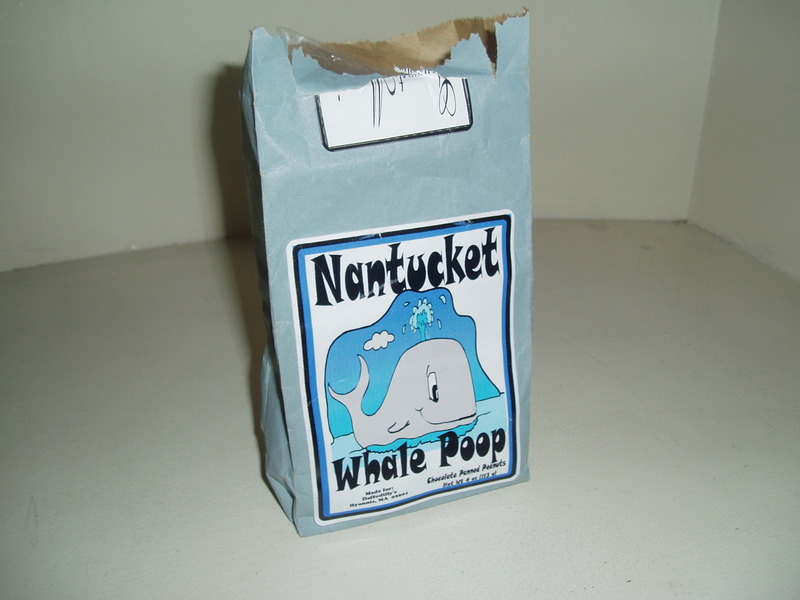 We were the only ones out there, and so we waxed poetic on the ocean, talked about how easy it would be to dump a body, saw a tug boat captain un-tugging anything and taking that baby for a joy ride, and hit comatose bewilderment as we stared about at Boston Light and the egg-shell like sludge holders which have become synonymous with the harbor and its islands. Steve was so bold as to say, “If you squint your eyes at the egg-canisters Jenna, you’ll feel like you were in a sci-fi film…” to which I told him I didn’t speak geek and we went on. 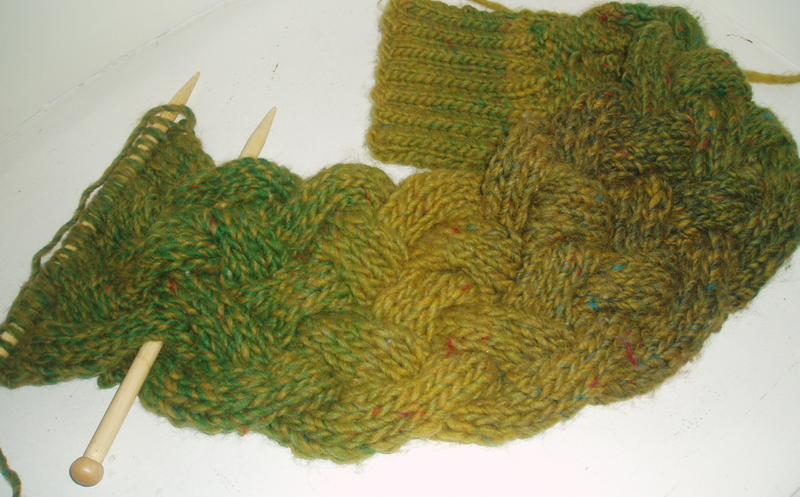 When I finally returned home, I immediately picked up some sticks to start a new cabled scarf out of Fisherman’s Wool, which seemed absolutely fitting. And it will look amazing on whoever I gift it to. File Under: All this ocean talk makes me want to get lost in books about traditional New England ocean life. Any suggestions, anyone? 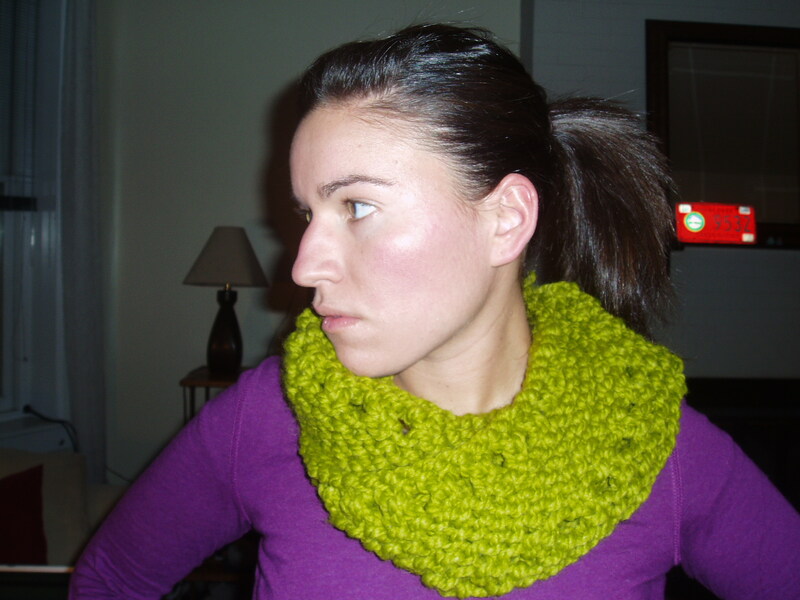 Life is uneven…so you can “cowl” in this…? Today, I am quite excited? Why is that you ask? Welp, yesterday I stumbled upon this absolutely drool-worthy Life Is Uneven Cowl over at Cut Out + Keep, which is not only a brilliant name (and so true), but I believe it was knitted up using my favorite yarn of the moment: the Thick n’ Quick food-themed colors and the like. Gushing. And as soon as I saw it, I had to have it…or at least make it up. So I did. 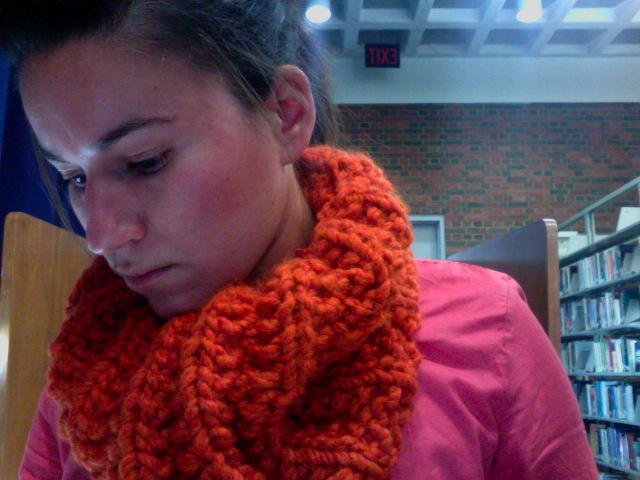 After work, I sat on the couch, and just knit, knit, knit. It’s quite easy–and quick because it’s done up on size 17 needles. Mostly worked in garter, there a few rows which involve k2tog and yarn overs…and literally, that’s it, before twisting and seaming. Really, you have to make one yourself. Mine is so comfy and cozy, you can pull it over your head, too, which turns it into a way hip wimple of sorts…even though wimples can be so un-hip. Not this one, though. Breaking the loaf in half? 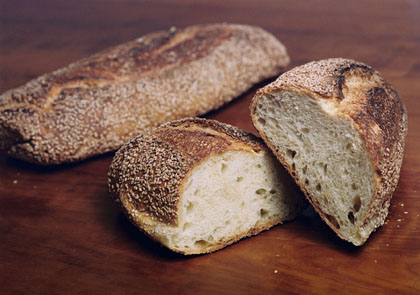 The Atlantic has a great article called “Half a Loaf: When Bakers Break Up, Who Gets Custody of the Recipes?” by Corby Kummer in the October 2008 Issue. It’s an intriguing piece on recipe sharing, recipe creating, and partnership–what happens when that ends? Do you split the recipes in half? Does one take them all? Of course, this focuses on professional bakers who find themselves falling for other professional bakers, and thus entering into romantics, and er, business, which is never a good idea regardless. But it’s a really interesting question all the way around, so I urge everyone to check it out. Thanks to my good friend Una for the heads up, as it made her “Articles of the Day” yesterday. File Under: Good Thing Every Romantic Relationship I’ve Had Never Boasts My Better Half a Serious Baker, or Cook, for that matter. No “hair holder” needed for this braid… (yes, no one’s to understand but this gifty’s recipient)! 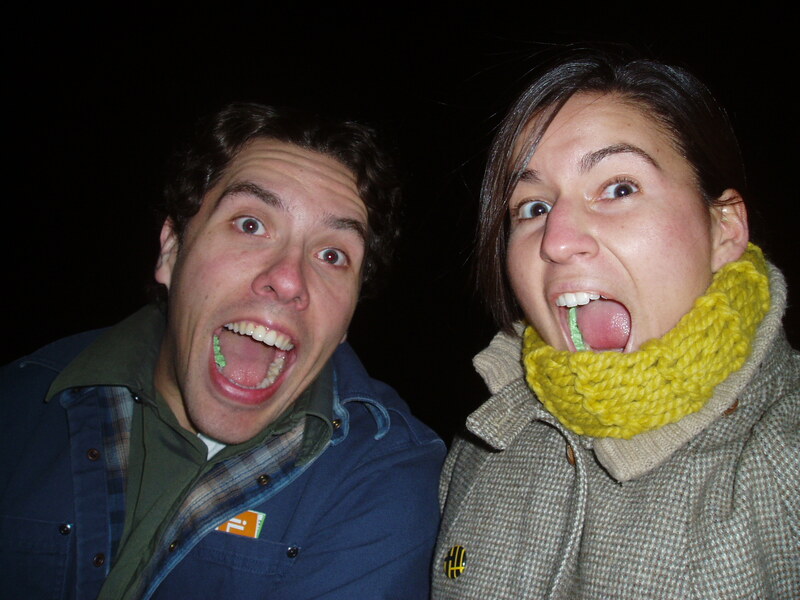 I have been casting on and casting off an emerald green self-striping tweed scarf for my good friend Mackenzie for as many weeks now and I can finally post about it since I gave her a preview today to make sure she likey likeyed. What started out as a “honeycomb” cable felt way too stiff (I hate a stiff scarf, I like it to fall nice and relaxed and lumpy and lazy) and has since turned into this drool-worthy Cabled Braid scarf–a pattern which is available for free over at Butterfly Morning–and I couldn’t wax anymore poetic over the brilliance of this scarf. The tweed, easy color change yarn I’m using is soft and pliable yet chunky enough to take perfectly to this braided scarf. Butterfly Morning said the pattern could be adapted to using smaller needles when creating the edge ribbing so that when the cabling shrinks the scarf width, the ribbing at bottom doesn’t look bigger. So, tis what I did. 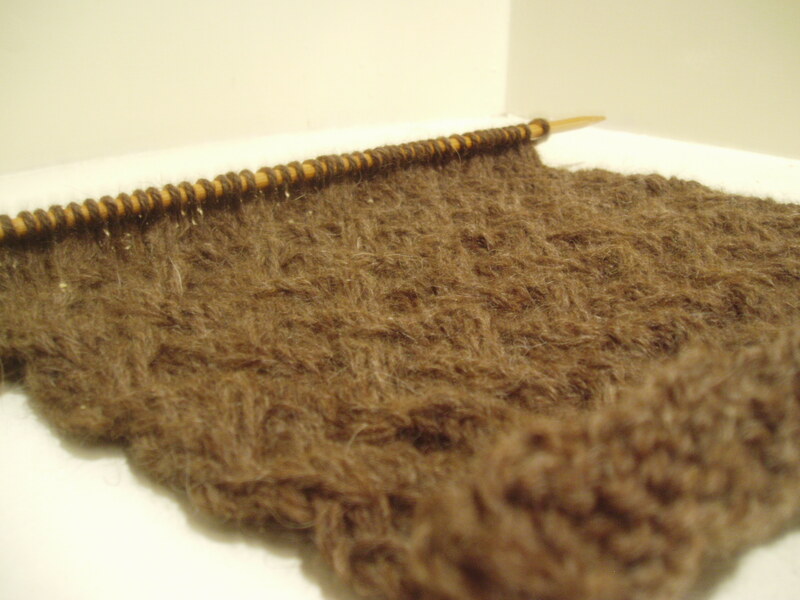 I cast on using size 10.5 needles before I switched to size 13 needles for the cabling section. This scarf knits up quick and is coming along quick and its making me gush so much that I plan on knitting up a whole bunch more of these for everyone I know as Christmas gifties. 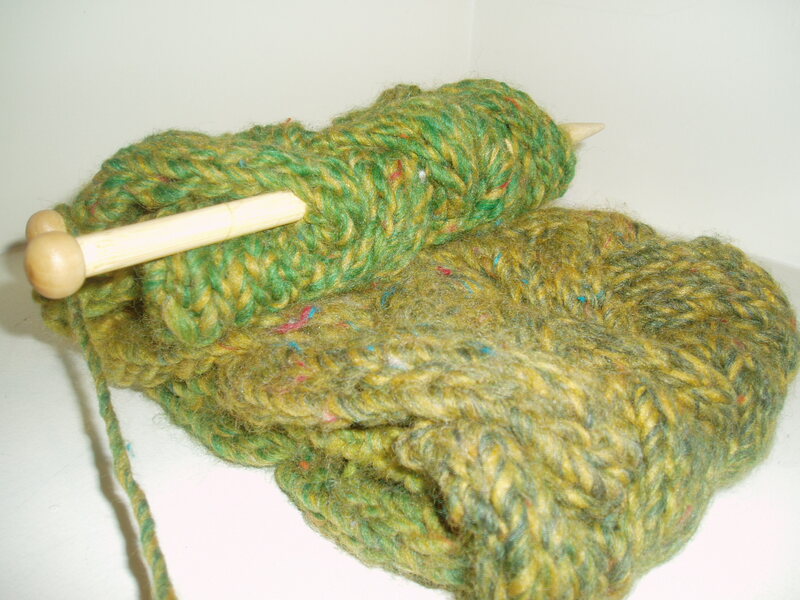 I plan on making Mackenzie’s scarf–and any subsequent scarves–extra long so it can be wrapped around the neck twice, because then it will be even more cosy and warm. Yup. File Under: Honestly, who doesn’t want one of these? The new ball and chain? A Granny in Germany who went on a tire slashing rampage was forced by the court, as part of her penance, to knit up sweaters for all the victims. Apparently, beside the fact she’s now been moved to a “residence home” where she can’t escape to cut some rubber, she now has no time for her vigilante activities thanks to her new “ball and chain”. Mouha. Don’t believe me? Welp, fine. Favorite Finds: Reason Number 1,576 to Adore Kitsch Tees. So as I procrastinate on this “Holiday Dedicated to Observing The Lack of Realization that us Natives lived here first and did exist when Columbus ‘discovered’ the Americas” writing papers for library school, I decided might as well surf the internets in search of tees that will not only declare obscene things about my future profession (so close, so close) but also those things in which I wish were my professions. Like knitting. These tees at cafe press, like the “Librarians Give it Away for Free” (pictured above in mint/avocado, $21) and “Will Knit for Beer” (pictured below, yellow, $20.99) are just absolutely amazing. I must have them. Must. I will save my pennies, my silver coins, my hang around change, in order to get these, wear them, broadcast that I’m a knitting librarian, and make everyone feel uncomfortable or think I’ve really lost in lately, since I would normally never wear such a thing. File Under: I will wear these in public to embarass you, my kittens. Yummy. Butterscotch and Lemongrass never went so well together? The “Lemongrass” One (pictured at the bottom of the above stack), was already gifted out to my friend Ashley, and another one will go to my friend Sarah since she said she “totes” wants one. O.k.! I’ve been addicted to wearing the “Butterscotch” one because the color is quite perfect for the Halloweeny in all of us, and you’ve probably seen me out in it lately. Many a compliment abounded. I don’t need to tell you how I make these; been there done that. Plus, it’s so simple I’m almost ashamed, but the yield is high and absolutely warm and gush-worthy. Remember! 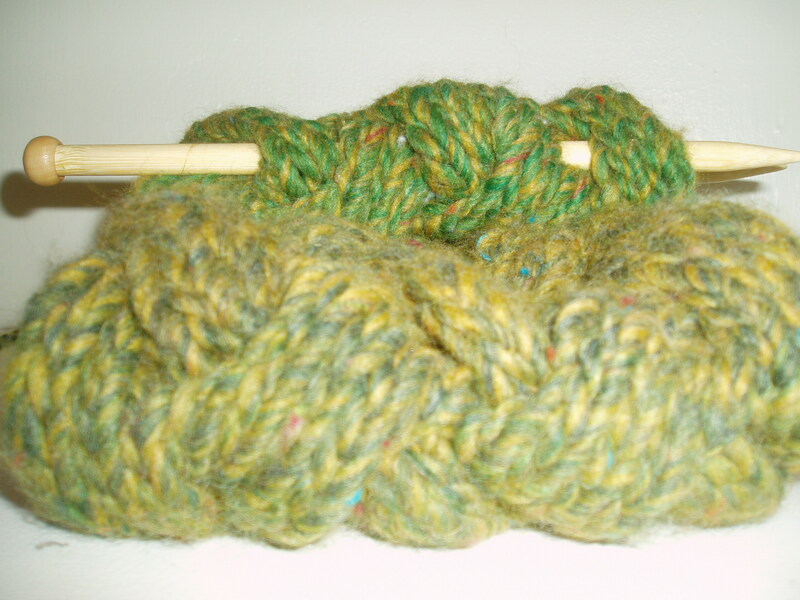 The key is bright colors, extra chunky wool, and honkin’ big needles (like Size 50, big). The other night, meeting up with friends and former Herald alums, I convinced one of my good good friends Estban Miguel (who reviews and writes tracks of the day over at my first love, the music blog, Pulp and Circumstance, Juiced! 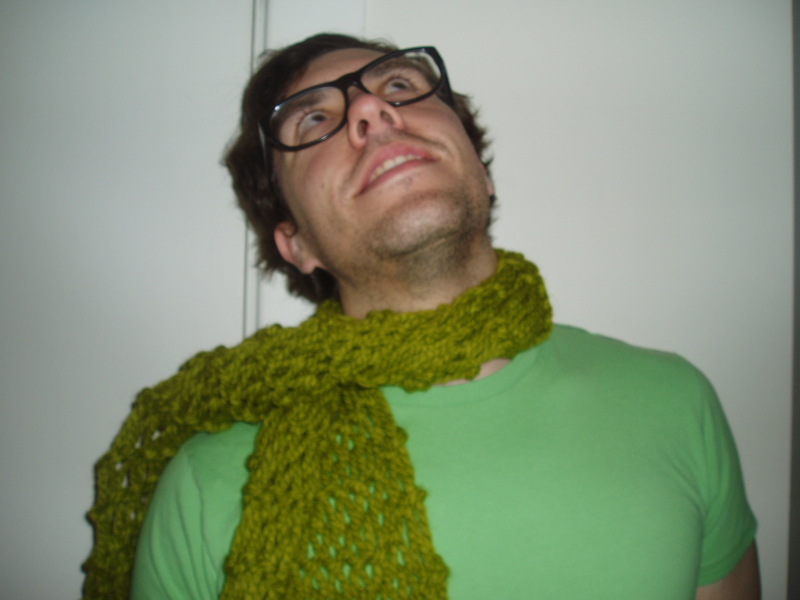 ), to model one of the scarves for Kraftworkin’. And workin’ it he did.